The distinction of Celebrations is that here you will find freedom of choice. The creative team at Edgewood Properties has developed a unique design system that lets you select the design format you want for your home living space, allowing you to create a home that is uniquely yours! 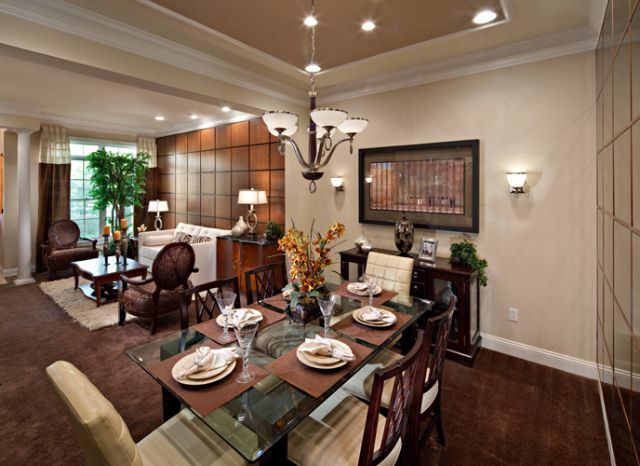 Celebration boasts gorgeous townhomes and condominiums in a truly convenient location. This spectacular community is packed with amenities for discerning professionals. Homeowners will find luxury living with private balconies, walk-in closets and deluxe kitchens... a requirement for today's homeowners. Green touches also abound, from energy-saving features inside to meticulous grounds. For your enjoyment, a brand-new clubhouse awaits, complete with a resort style pool, fitness center, game room, and much more, all within a luscious park-like setting. No better location is Middlesex County, just minutes from the Edison, Metuchen, Metro Park train stations. Shuttle service to and from the train station is available for the residents at Celebrations. So Raise Your Expectations and experience life at its finest, in a community designed for those who appreciate the best in life. Discover the natural beauty and architectural elegance of Celebrations, a premier address you’ll be proud to call home.